Electrical engineering is one of the most popular branch of engineering and also one of the most competitive branch from GATE exam point of view. 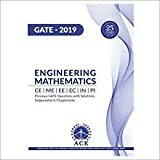 In this post candidates will find Subject-wise and Set wise analysis for GATE Electrical Engineering papers from 2008-2015. By subject wise analyzing GATE Electrical Engineering paper for the year 2015 we can conclude that the level of difficulty of paper was of mederate level. There were some questions for testing the basic knowledge of the students. There are no changes in pattern of exam as compared to previous year and the same will be followed in the 2016 GATE papers. The questions in aptitude section were relatively easier than last year. There were total 41 Multiple Choice Questions and 24 Fill in the blank Questions. 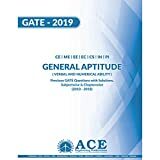 By set wise analyzing GATE Electrical Engineering paper for the 8 years from 2008-2015 we can conclude that Networks, Control Systems, Power Systems & Electrical Machines are the most important subjects from number of questions & marks point of view. So candidate must prepare these subjects very well. The reason behind providing this subject wise and set wise analysis is that the candidates can understand what subject(s) they need to prepare first and if time is less what subject(s) they can skip or prepare less using subject wise analysis & by using set wise analysis candidate can understand that what are the subjects, common in all sets of a branch from which most of the questions are being asked. We hope this analysis will help candidate in their GATE 2016 exam preparation.